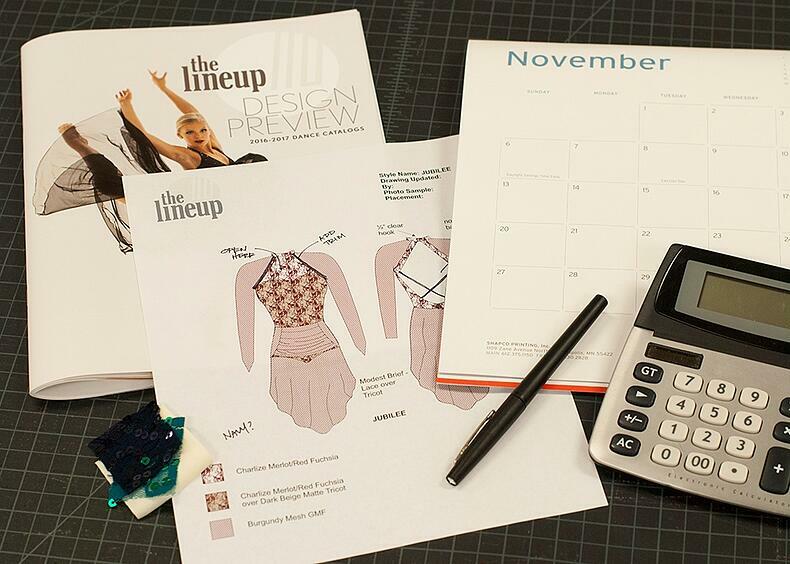 Understanding what your team can afford is the first step in planning your next costume. When working with your favorite costume company, the first question they will ask is, “What’s your budget?” Even though you may just want to see how much your vision will cost, it’s highly recommended you know your budget ahead of time. If you don’t it can potentially result in wasted time for both parties. A lot of time can be spent designing your exact vision, only for it to come out to a price that is unattainable. It’s best to start with what you know you can afford and work from there. You will save the most time in the long run! If it’s still too early for you to determine your budget, try to base it off of last year. Or if your members will be paying for their own uniform, ask them what they are comfortable with. It’s better to start with a rough budget range instead of nothing at all. Keep your time frame in mind to help your costume company direct you to the best options. If your performance date isn’t that far away it might be best to stick with a pre-designed costume rather than creating a new design from scratch. Keep in mind completely custom designs will typically take 12-16 weeks, but pre-designed costumes might be as fast as 2-4 weeks. It’s always best to plan ahead and allow yourself more time to accommodate any unforeseen challenges, or that special design! "What if I don't have my performance date?" No worries - if you are flexible with your date, it could work to your advantage! 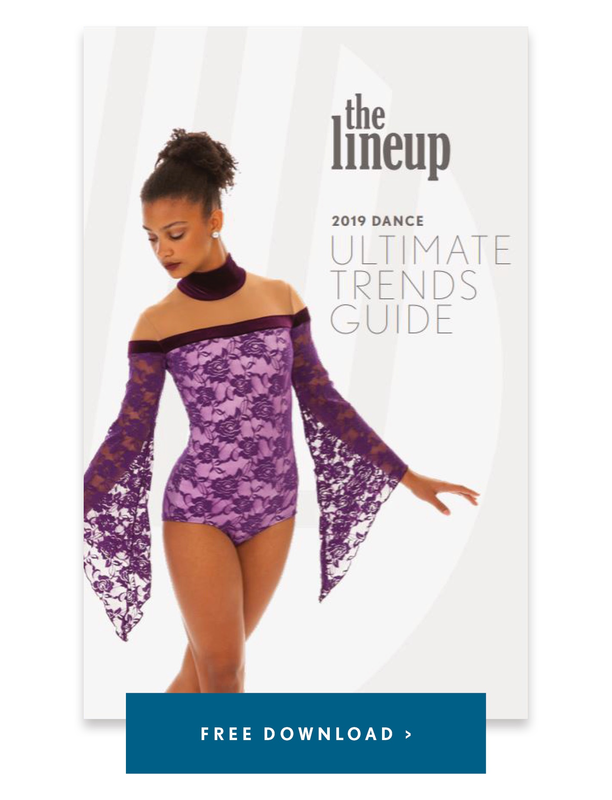 Another option if time is an issue - you could unveil that new costume a little later in the season at one of your bigger competitions, instead of that first performance date. Quantity of costumes plays a key role in not only the design of your costume but also the cost. Some costume companies have price breaks for certain amounts of costumes: the more you order, the more you can save! There can also be restrictions to customization if your quantity is too small: a minimum number of costumes may be required for custom orders. It’s always good to ask your company upfront about these price breaks or restrictions. That's okay! If you can at least provide a range for your costume company to start with, it will help. You can base it off of last year’s numbers or how many members you ideally want on the team. A pre-selected theme or concept will give more focus to your costume design. Artistic direction can be the most fun part of planning for your next costume! Though without some sort of creative vision it will be more of a challenge for your costume company to create a design. A theme or concept will give your costume a clear focus, and every design decision can relate back to that vision. For example, when deciding on a neckline for a Victorian Gothic themed costume, you might choose a ruffled collar instead of an open sweetheart neckline because it fits with the theme. Once you choose your music, gather your thoughts in a notebook or Pinterest board. Another great way to get your thoughts into writing is an inspiration kit similar to this one. Fill out questions and activities about each aspect of your performance to get a clearer picture of your vision! If costume decisions are done by more than one person on your team, it’s good to collaborate before meeting with your costume company. Narrow down your ideas and hone in on the specifics to save everyone time! By the time you meet with your costume company you should be able to give them clear direction on the 1 to 2 designs you’d like to see mocked up. Remember, you can always make revisions later. If it's too open ended they might come back with designs that aren’t what you had in mind. If there isn't a theme, typical of many team warm-ups or gameday uniforms, at least brainstorm some ideas about what styles you like, and what you are trying to achieve. For example, if you want to represent your team and showcase your school's logo, get the logo files together to send over to your costume company! So there you have it, these four simple things are you need to get started with dance costume planning: budget, schedule, quantity, and theme. Odds are you already have been thinking about each, so you are further along than you might think! For more tips on getting your best costume ever, check out the budget guide below!